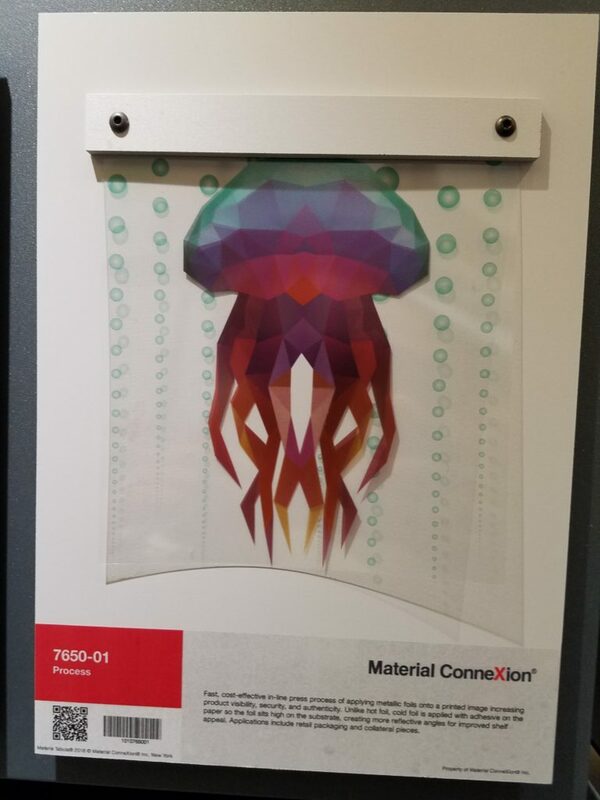 We went on a class trip to Material Connexion. 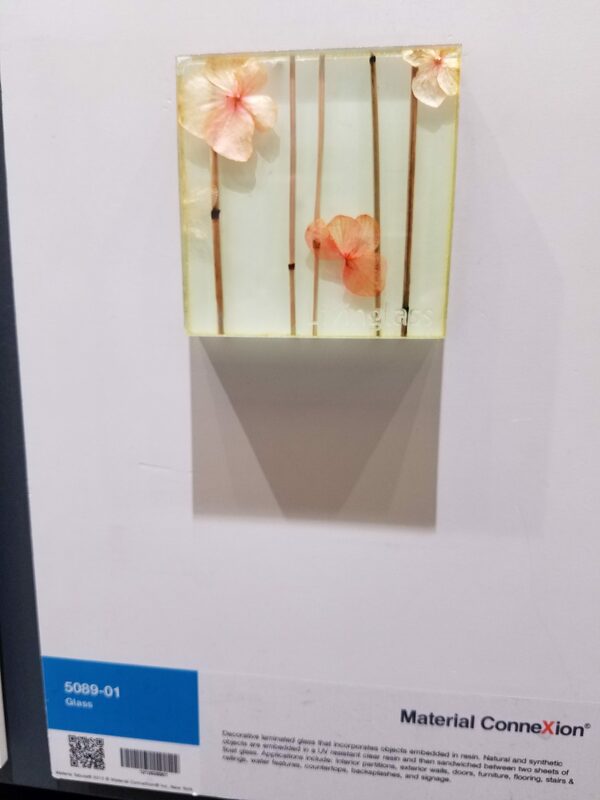 I found this combination of laminated glass and resin to be a very pure canvas. I had a slight interest in suspending objects in resin but never pursued it. I like art pieces, so I think working with a material like this can be very rewarding. There’s a timeless aesthetic caused with it being still life, but also the beauty of it being a engineered transparent rectangle . This is definitely a stiff material. The manufacturer is Livinglass. They also seem to handle the distribution portion, or so it appears so from their website. This may be out of range price wise, but I would be interested in tackling this on my own if needed. I don’t have a subject as yet so I will need to think about what I would do with these blocks.